Medical Transcription is an art – an art that comes with years and years of practice, dedication, and hard work. Getting the terminology spot on, understanding the diagnoses, observations, and tying up with the treatment plan makes for a precise, well-rounded medical transcript. In the highly critical environment of medicine, most stringent adherence to quality standards and astute timeliness is of the essence, and EIS delivers that better than most. Highly qualified and certified medical transcriptionists. Technical support & customer support – round-the-clock, 24x7, 365 days. Healthcare professionals from diverse fields such as Gynecology, Ophthalmology, Radiology, etc. are part of the transcription team. 1.First tier has the MTs, who prepare the transcripts with minimum 92% content quality. 2.Second tier has ‘Editors’ who proofread entire document, check format and patient specifications, & ensure zero critical patient safety errors. 3.Third tier has ‘Quality Auditors’ who are either doctors or highly experienced nurse practitioners, who ensure all transcripts are sent with 99.5% quality. Our company is headquartered in the U.S. and our first tier of medical transcriptionists is sourced from our partner companies in India and Philippines.EIS Quality Control Team, however, is located in the U.S. This helps us in significant cost savings, which we are able to pass on to our clients. Some companies claim they don’t outsource to cut costs, but in fact they do exactly that. We, at the outset, believe in full disclosure. Our outsourcing activity does not in any way compromise either data security or transcript quality. In fact, we believe they augment our professionalism. The overall positive and glowing feedback we've received from customers past and present only reinforces our belief and has kept us moving forward confidently. 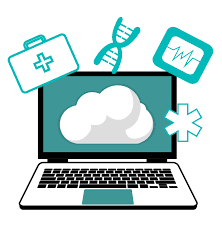 We use the latest technology for capture & storage of patient records, physician dictations, word documents, reference manuals and such. Data security & confidentiality is constantly at the top of our minds and all our actions. Once a specific project is completed, upon receiving client confirmation we permanently erase all project related material from our entire network including our servers. 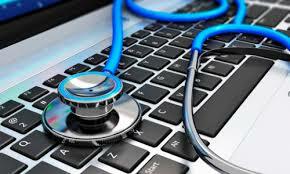 EIS has a highly customized approach to your Medical Transcription needs. We can tailor our budgets to suit your requirements – rates per line, or per page, or per report, or even per audio minute! You choose the modality & we’ll do it for you. Contact us NOW for your transcription orders!